A genealogy and family history blog with tips and tricks for other researchers, as well as some of my personal research stories. My earliest known Miller (Müller) (in this line—I do have others from Luxembourg) is my second great-grandfather, Emil, who was probably born in or near Bromberg, Posen, Preußen (Prussia). He is the only one of my 16 second greats whose fate is unknown. Perhaps someone out there can help. My direct line ancestors are in blue. 1. Emil MÜLLER was born about 1864, possibly in or near Bromberg, Posen, Preußen (Prussia), and died after 1902. Emil married Hulda WACH, daughter of Henry WACH and Amelia WIETZKE, on 8 August 1886 in Chicago, Cook, Illinois. The marriage ended in divorce on 12 December 1900 in Chicago, Cook, Illinois. Hulda was born on 9 January 1869 in Bernsdorf, Bütow, Pommern, Preußen (Prussia), and died on 15 May 1914 in Dunham, McHenry, Illinois. Heinrich "Henry" Fredrick MILLER was born on 1 June 1887 in Chicago, Cook, Illinois, and died circa 3 May 1963 in Illinois. Henry married Katherine KOTTKA, daughter of August KOTTKA, on 25 December 1909 in Chicago, Cook, Illinois. The marriage ended in divorce about 1925. Katherine was born about 1889-1891 in Illinois. Henry married second, Elizabeth ---?--- about 1925-1926. Elizabeth was born about 1892 in Germany. Emil Karl August MILLER was born on 9 February 1889 in Chicago, Cook, Illinois, was baptized on 3 March 1889 in Chicago, Cook, Illinois, and died on 21 February 1938 in Chicago, Cook, Illinois. Ida MILLER was born on 31 July 1891 in Illinois and died on 8 December 1970 in Wisconsin. Ida married Charles BRUNNER, son of Henry BRUNNER and Henrietta BRUA, on 25 June 1909 in Harvard, McHenry, Illinois. Charles was born in May 1889 in Germany, and died on 9 March 1952 in Harvard, McHenry, Illinois. 3. Emil Karl August MILLER (Emil1) was born on 9 February 1889 in Chicago, Cook, Illinois, was baptized on 3 March 1889 in Chicago, Cook, Illinois, and died on 21 February 1938 in Chicago, Cook, Illinois. Emil married first, Alma Mary LEPPIN, daughter of Herman LEPPIN and Minnie HEMFLER, on 4 September 1915 in Chicago, Cook, Illinois. Alma was born on 1 September 1896 in Chicago, Cook, Illinois, and died on 15 December 1928 in Chicago, Cook, Illinois. Roman "Raymond" Henry MILLER was born on 18 August 1916 in Chicago, Cook, Illinois, and died on 15 May 1979 in Whittier, Los Angeles, California. Raymond married Roma C BENING between 1939 and April 1940. Roma was born on 26 August 1917 in Illinois and died on 4 August 1995 in Orange County, California. Harold Leslie MILLER was born on 4 August 1918 in Chicago, Cook, Illinois, was baptized on 8 September 1918 in Chicago, Cook, Illinois, and died on 15 June 1982 in Maywood, Cook, Illinois. Harold married Marie Ethel ROTTMAN, daughter of George ROTTMAN and Anna E STOFFEL, on 6 July 1939 in Chicago, Cook, Illinois. Marie was born on 29 April 1920 in Chicago, Cook, Illinois, and died on 20 July 1989 in Bensenville, DuPage, Illinois. Harold and Marie are my grandparents. Mildred Dolores MILLER was born on 10 December 1922 in Chicago, Cook, Illinois, and died on 6 September 1976 in Mountain View, Santa Clara, California. Mildred married Sidney William HICKS on 14 February 1940 in Cook County, Illinois. Sidney was born on 17 June 1916 in Illinois and died on 6 August 1990 in Santa Clara County, California. Emil married second, Pearl "Myrtle" C MATTHEWS, daughter of William MATTHEWS and Mary HILLERY, on 15 February 1930 in Chicago, Cook, Illinois. Myrtle was born on 15 November 1895 in Illinois and died on 20 November 1967 in Chicago, Cook, Illinois. Disclaimer: Information is based on research completed as of 19 January 2013. Some details have been omitted to protect the privacy of living relatives. PDF Available: The content of this post is available as a PDF through Scribd and may updated periodically as new information is found. Other Blog Posts: To see other posts about the Miller family, click here. 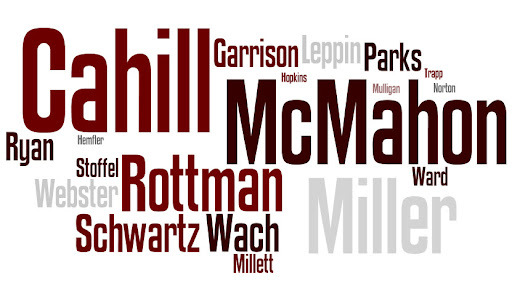 To see other Surname Saturday posts, click here. Contact: If you would like more information about this family, or would like to share what you know, please contact me at genblogjulie@gmail.com. Julie is a genealogist who specializes in writing, editing, and graphic design. If you are looking for someone to help organize your family data into a book or prepare a research article for publication, Julie can help. Other services include the development of educational materials such as books/booklets, articles, and online courses. See "About Julie" for additional information. 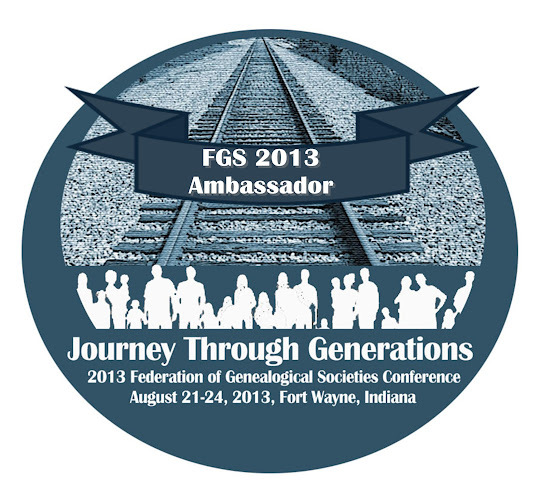 Join me at the FGS 2013 Conference in Fort Wayne, Indiana, August 21-24. © Copyright 2008~2013. All rights reserved.